Lana is worried by Valkorion's presence in your mind, but she greatly appreciated your choice to tell her the truth of the situation. Lana will remember that you lied about Valkorion's presence in your mind. 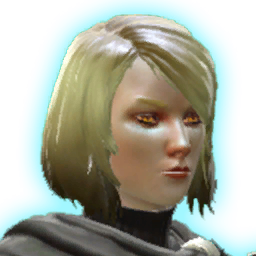 Lana is deeply concerned by your use of Valkorion's power. You have begun a romantic relationship with Lana. With the return of your former romance, you and Lana have decided to end your relationship. After all of your adventures, after the rise and fall of the Eternal Empire and the Alliance, you asked Lana to marry you, and she accepted. Holds the target in a Dark Tempest for up to 10 seconds. Damage to the target causes this effect to end prematurely. Targets may only be affected by the Dark Tempest once every 30 seconds. Target must not be suffering from periodic damage and have greater than 90% max health.